Key partner role for local Citizens Advice? Treating the whole person, not just her medical condition, has always been health service policy (or aspiration). 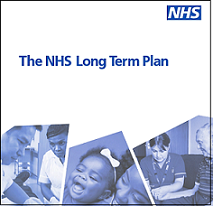 Now, in the NHS long-term plan, there is a step forward: a broader range of support and social prescribing. The essence of primary care is local and individual. The local GP practice is where individuals first share their health problems. But the origin of a lot of GP appointments may not be medical at all. Many patients have problems for which medicine is not the solution. To manage this, and reduce pressure on practices, the plan announces that trained social prescribing link workers will be appointed in primary care networks to develop tailored plans and connect them to local groups and support services. The chair of the Royal College of General Practitioners, told the BBC the move was very welcome*. Ensuring GPs have “easy access to people who can link patients with classes or groups in the community, which could be of more benefit than any medicine…” is something doctors have been calling for for a long time. There is a strong case for considering the part local Citizens Advice might play in new services of this kind. Could there, for example, be guidance to commissioning groups and providers to set up arrangements with them independently? We and many other local CA offices have successful experience of working in health service settings. And recent Citizens Advice research supports the potential of more formal links; in 2018, 1 in 4 CARBS clients had a long-term health condition**. Nationwide, Citizens Advice reports 98% of mental health staff dealt with non-medical problems***.